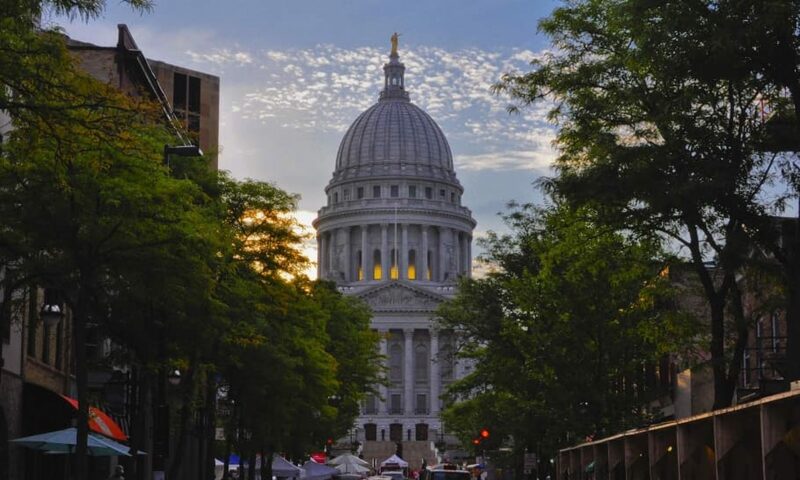 With all the alarming publicity regarding the climate crisis and global warming, we should all be proud to live in and around the “green” city of Madison. Over the years, Madison has gained a reputation as a green destination, much of which is due to its population’s dedication to the maintenance and protection of the green space throughout the area. Within the City of Madison alone, you can find over 6,000 acres of parkland in almost 300 different parks! The 150+ miles of bike trails also add to the “greenness” of the city, as you can find easy ways to travel without leaving a carbon footprint. Madison offered the nation’s first curbside recycling program in 1968. USE IT! Recycle paper, cardboard, metal, plastic, glass, and more. Consider using solar energy. Madison is one of 13 U.S. cities that will share $2.5 million in new federal money to advance solar power projects. The city’s goal is to double solar use by 2009… and you can help! Replace your old, energy-guzzling incandescent light bulbs with new, energy-saving fluorescent light bulbs. This will even help to decrease your electric bill! Reduce your energy intake! Turn off lights when you’re not in the room, unplug appliances after use, bundle up instead of turning up the heat in the winter, and dress for the summer warmth as opposed to using wasteful air conditioning. On item #3, as a lighting professional I have a hard time backing you up. Yes, they are more energy efficient, but unless you have a solution for recycling the mercury content, I’d rather see you using halogen (there are an increasing number of standard household base halogen bulbs on the market). It’s about twice as efficient as incandescent, and has none of the hazardous waste issues. This will be even more true once we shut off our coal plants. For the time being it may be a wash.
Other options, if you are willing to replace your fixtures, are HID (particularly ceramic metal halide, which has better color rendering & efficacy than CFL) and LED, which is not quite as efficient as CFL in most cases, but also doesn’t have to be replaced for 15+ years. Hopefully, by that time we’ll have a good recycling program to deal with the discarded fixtures (at least most are now ROHS compliant so they can be sold in Europe, and therefore don’t contain lead or other heavy metals). On item #4 I couldn’t agree more. And I’d add, use automatic lighting controls wherever possible. Timers, occupancy sensors & photo sensors are all ways that you can reduce the lighting bill in your home without even having to remember to do it yourself. Madison offered the nation’s first curbside recycling program in 1968.